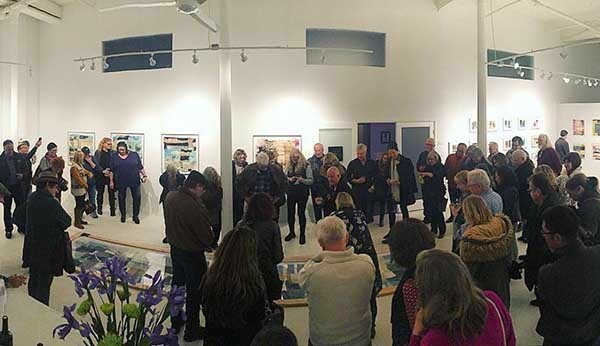 Although I couldn't be at the opening reception of 'Learning Curve', the curated group show I'm in at Jen Tough Gallery in Benicia, California, I was there in spirit.The reception was live streamed and lots of people sent me pics as well. It looked like an exciting evening and I wish I could have been there. It was actually a dual opening. 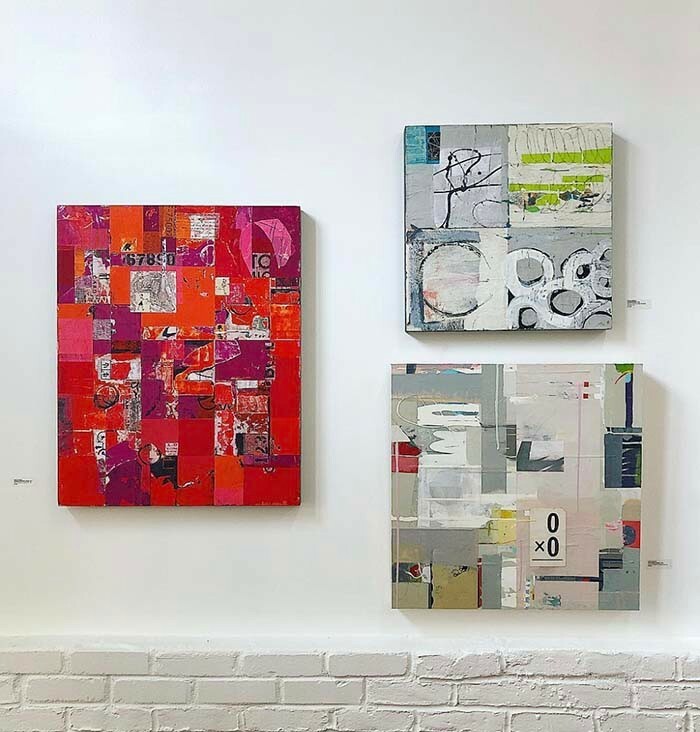 'Surface Tension', a solo show by artist / curator Michael Schemchuk is in the main gallery. 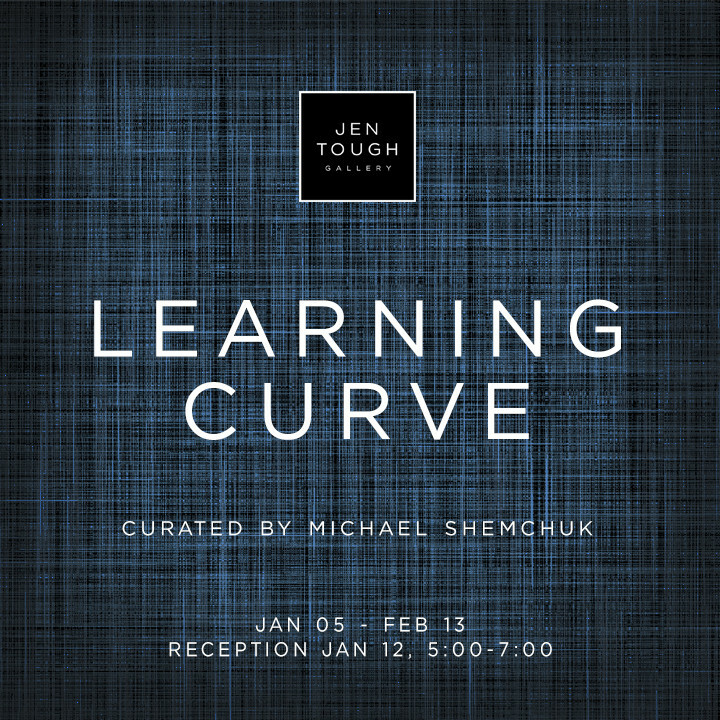 'Learning Curve' the exhibit of 18 artists he personally selected and curated, is in the side gallery. Both shows run until February 13, 2019. Michael Shemchuk, or 'Shem' as he likes to be called, demonstrated his unique technique of soaking paper in a water trough on the floor, to transfer ink patterns. Everyone was totally fascinated. 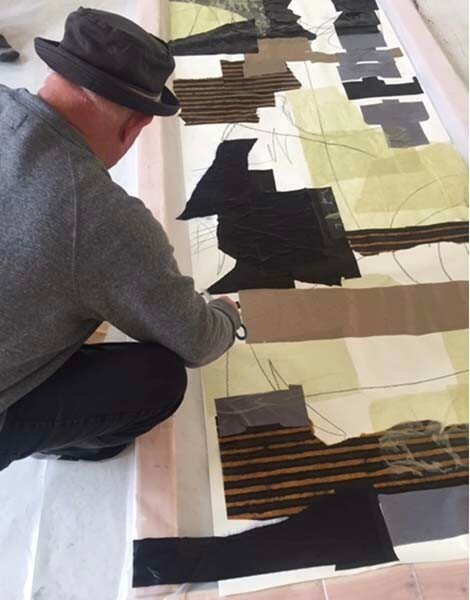 Shem is a highly respected west coast artist and he's been an important influence of my recent work. In fact, I'm a huge fan of west coast painters in general. The Bay Area of Berkeley, Sausalito, Oakland and Benicia supports a vibrant arts community and I've gotten to know many of the artists. I wish I lived a bit closer. Considering all the talent in the area, it's an incredible honor to have been hand picked by Shem and included in the 'Learning Curve' exhibit. Below are a couple of wall views of my painting 'Compartments'. My painting is the one on the upper right. 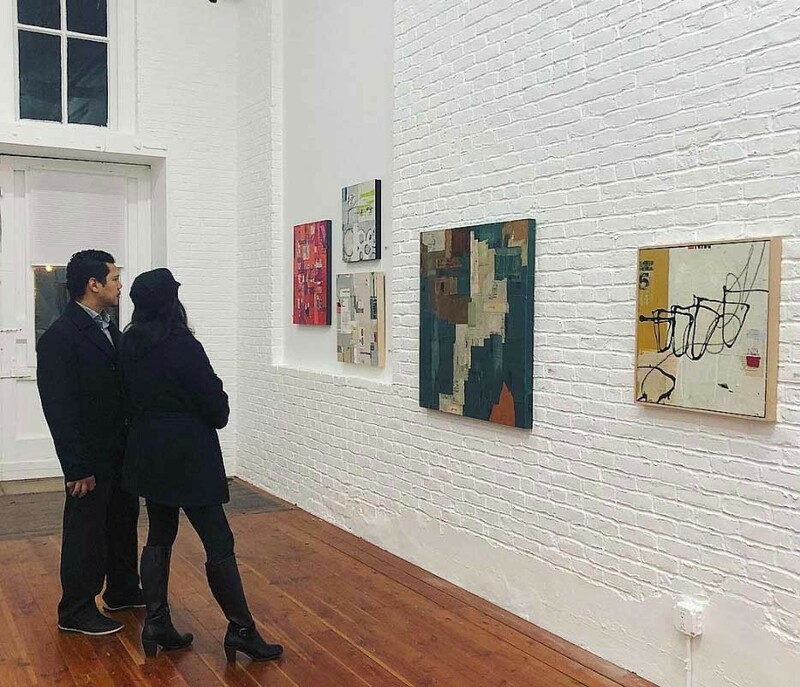 As you can see, the gallery itself is in a gorgeous historical armory that was renovated to create spaces for artist studios and galleries. It has a wonderfully unique vibe with walls two feet thick, high ceilings and a flowing layout. Titled 'Compartments', (Upper Right) my painting measures 20 x 20 x 2 inches and is mixed media on wood panel. If you're interested in more information or would like to purchase it, please contact Jen Tough Gallery directly.